A number of studies suggest that the divorce rate is much higher among couples who have a child with special needs compared to those who do not. The personal and financial challenges that come with having a child with special needs can be too much for some couples’ marriages to withstand. 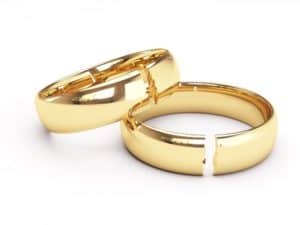 When the parents of a child with special needs decide to end their marriage, there are factors to consider when agreeing on a divorce settlement that are different than other families face. Custody issues are complex when involving a child with special needs. The courts usually look at a handful of factors, including the capacity of each parent to understand and address the child’s needs. There are visitation issues to work out, as well as deciding who will make important decisions regarding the child’s school, recreational activities, health care and special therapies. Hopefully, divorcing parents will choose to work together, because the responsibility to make such decisions does not end when the child turns 18 as in most families. Parents of a child with special needs will likely have to retain decision-making power well into the child’s adult life and who will serve as guardian for their adult disabled child will be determined not by a family law court but by a probate court after the child turns 18. There are other differences when it comes to child support. A divorce decree for parents of a child with special needs usually includes details on both the custodial and noncustodial parent’s support obligation for the son or daughter’s lifetime. And, under Illinois law, the courts can award money out of the property and income of either or both parents’ estate when the child has special needs. Keep in mind, child support payments typically will end up reducing or eliminating the child’s SSI benefit as well as Medicaid, unless the court order is written in a specific manner. Government benefits can be protected if the divorce decree directs the non-custodial parent to make child support payments to a first party special needs trust for the sole benefit of that child. This is a different type of trust than the typical special needs trust established by parents as part of their estate plan. That type is called a third party special needs trust. For a child on SSI who is under the age of 18, Social Security regulations specify that two-thirds of child support payments is considered income. That alone causes a dollar-for-dollar reduction in the SSI benefit. For a child age 18 or older, however, 100 percent minus $20 of the child support payment counts as a reduction against SSI. If there is no self-settled pay-back special needs trust in place (a first party special needs trust), benefits will be reduced or eliminated once child support payments begin. Medicaid is also at risk. There are other considerations beyond child support and guardianship to consider in a divorce involving parents of a child with special needs. These include requiring in the marital settlement agreement (“MSA”) that a parent maintain health insurance coverage for their adult disabled child for their lifetime, until the parent reaches retirement. In addition, the MSA can require that life insurance be maintained by either or both parents permanently and be ordered to be paid to a third party special needs trust.